With a bang, PCMag has declared Rogers Canada’s fastest mobile network. In a blockbuster overview of the Canadian mobile market, the team took to the Canadian highways, bypasses and toll roads to determine which carrier among the big three and so-called “little six” is the fastest and most reliable in the country. While the results differ from city to city, Rogers came away the fastest in most areas in which it supports 2600Mhz LTE, with Bell and TELUS nipping at its heels. Regional carriers like MTS in Manitoba and Videotron in Montreal were determined to provide the best value, so long as you don’t leave the confines of the all-too-limited coverage area too often, while TELUS was crowned as having the fastest and most complete HSPA+ network. In Southern Ontario, which comprises the GTA and contains the most subs in the country, Bell and Rogers tied, with the former providing the fastest upload speeds and the wider service area, while the latter offered the fastest speeds, with a maximum of 92Mbps. 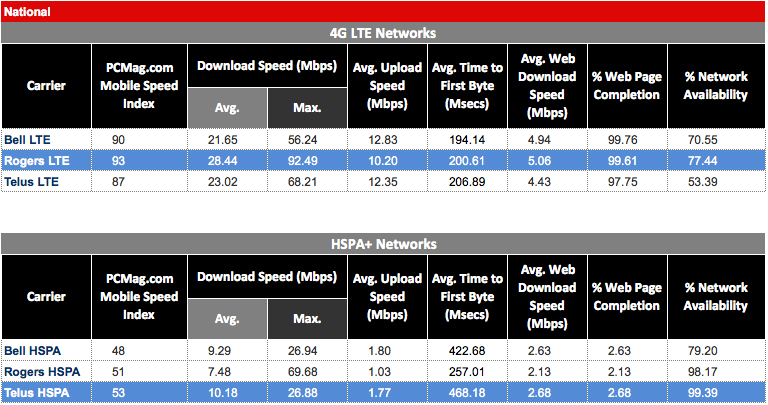 My own anecdotal tests around Toronto mimic the results of the PCMag team, with Rogers coming out ahead in terms of overall speed, while Bell’s network stayed more consistently on LTE than either Rogers or TELUS. 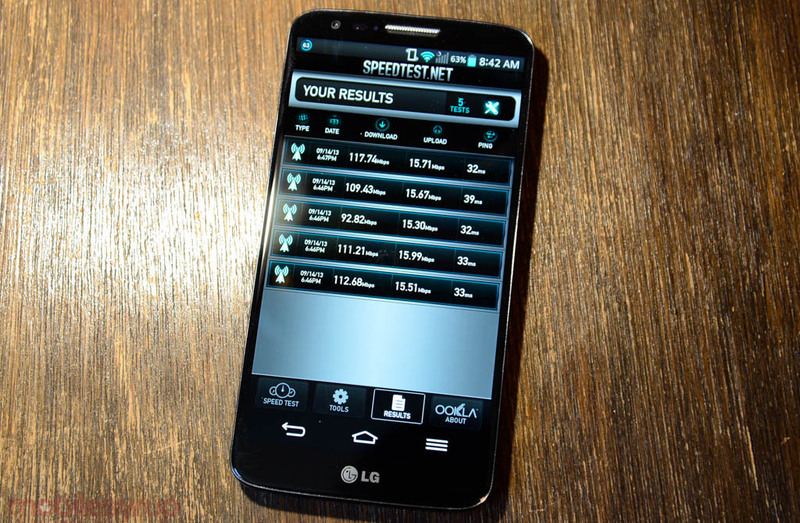 Though PCMag did not have the opportunity to test the networks using Qualcomm’s newest Snapdragon 800 chipset, which has a Category 4 LTE baseband inside, we found that it makes a substantial difference in overall speeds; our LG G2 tester went as high as 118Mbps over the Rogers 2600Mhz network in our tests. Overall, the incumbents came away looking quite fine, with ultra-reliable HSPA+ networks and quickly-growing LTE networks in most of the country. New entrants like WIND Mobile lack the spectrum of their incumbent competitors and until something changes — either the merging of WIND and Mobilicity, or the acquisition of more spectrum in the upcoming 700Mhz auction — they will continue to be at a disadvantage. Check out all the invaluable information at PCMag.